The bath cream Milk and Honey from Fiori di Cipria, with its delicate and relaxing scent, is suitable for the whole family. 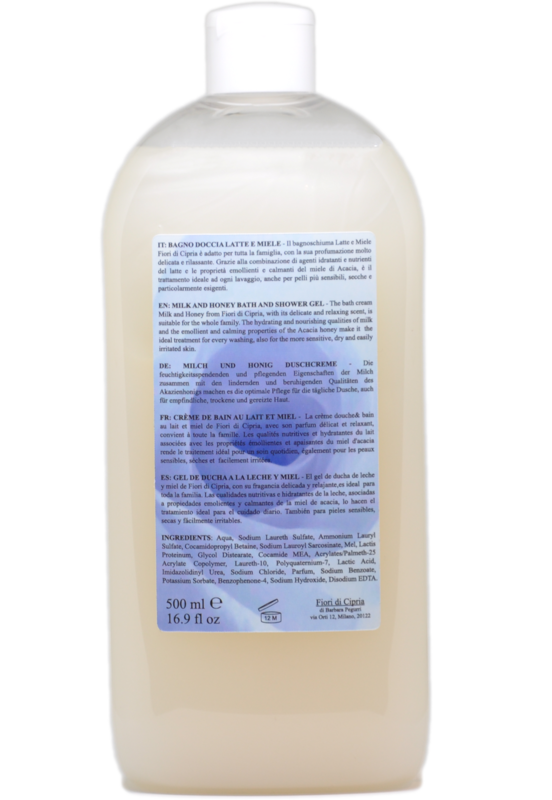 The hydrating and nourishing qualities of milk and the emollient and calming properties of the Acacia honey make it the ideal treatment for every washing, also for the more sensitive, dry and easily irritated skin. Aqua, Sodium Laureth Sulfate, Ammonium Lauryl Sulfate, Cocamidopropyl Betaine, Sodium Lauroyl Sarcosinate, Mel, Lactis Proteinum, Glycol Distearate, Cocamide MEA, Acrylates/Palmeth-25 Acrylate Copolymer, Laureth-10, Polyquaternium-7, Lactic Acid, Imidazolidinyl Urea, Sodium Chloride, Parfum, Sodium Benzoate, Potassium Sorbate, Benzophenone-4, Sodium Hydroxide, Disodium EDTA. 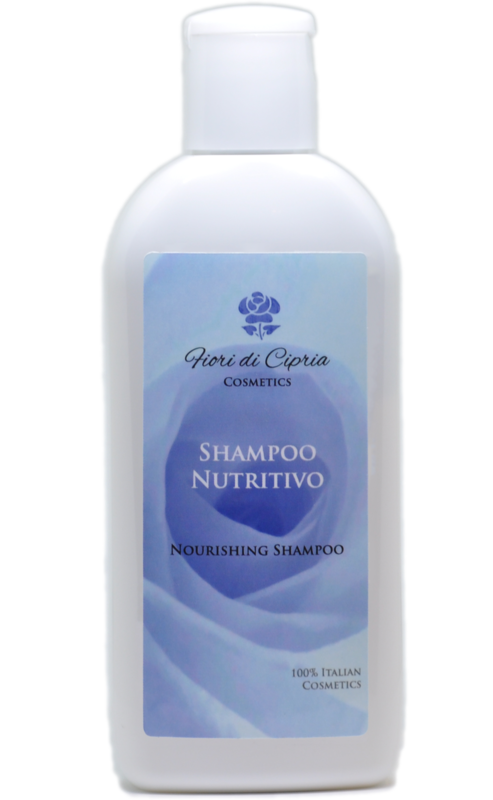 The nourishing shampoo Fiori di Cipria gently cleanses and hydrates the hair as well as repairs it and nourishes it. The sweetness of Argan oil, Oat milk and Ceramide offer the perfect care for dry, thin and damaged hair. It is colour protecting and enhances the natural highlights. The hair becomes thick, strong and shiny from the roots on. 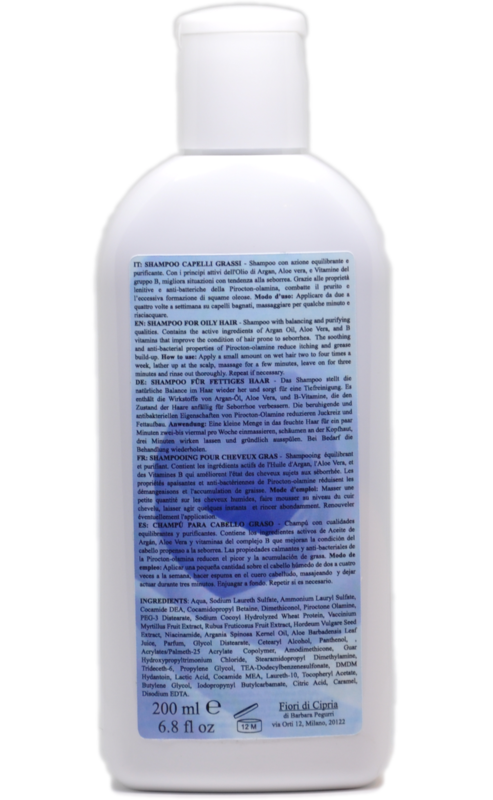 It prevents frizz and leaves the hair shiny and soft. Apply on wet hair and massage for a few minutes. Rinse off and repeat a second time. 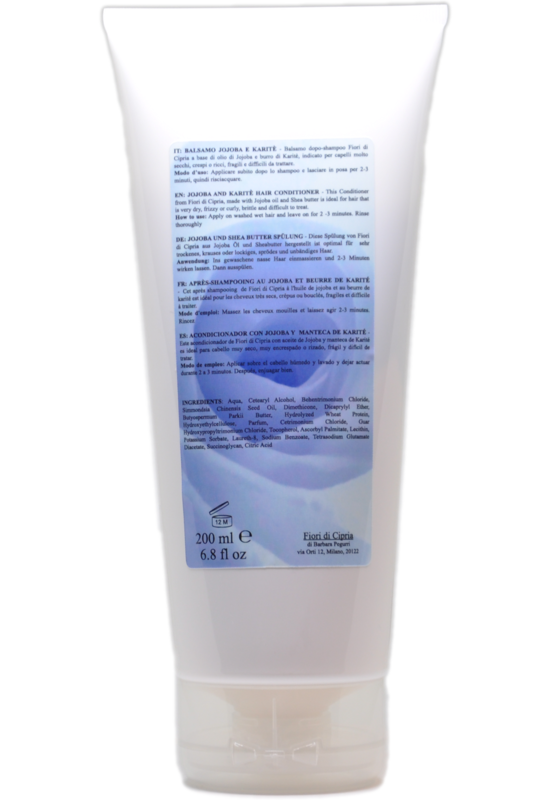 Aqua, Sodium Laureth Sulfate, Ammonium Lauryl Sulfate, Cocamide DEA, Cocamidopropyl Betaine, Dimethicone, PEG-3 Distearate, Hydrolyzed Oat Protein, Avena Sativa Kernel Extract, Potassium Palmitoyl Hydrolyzed Oat Protein, Sodium Cocoyl Hydrolyzed Wheat Protein, Argania Spinosa Kernel Oil, Ceramide 6 II, Ceramide 1, Glycol Distearate, Cetearyl Alcohol, Ceramide 3, Phytosphingosine, Cholesterol, Rubus Fruticosus Fruit Extract, Vaccinium Myrtillus Fruit Extract, Acrylates/Palmeth-25 Acrylate Copolymer, Propylene Glycol, DMDM Hydantoin, Amodimethicone, Polyquaternium-10, Stearamidopropyl Dimethylamine, Carbomer, Cocamide MEA, Parfum,Trideceth-6, Laureth-10, Panthenol, Lactic Acid, Laureth-8, Tocopheryl Acetate, Butylene Glycol, Iodopropynyl Butylcarbamate, Succinoglycan, Sodium Lauroyl Lactylate, Xanthan Gum, Disodium EDTA, Citric Acid. 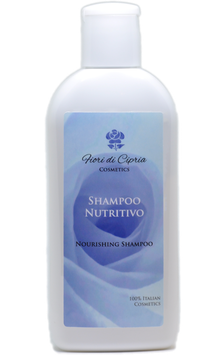 Fiori di Cipria shampoo for oily hair, with active ingredients from Argan Oil, Aloe Vera and B vitamins that have anti-sebum, anti-itching and anti-flaking qualities, and Pirocton-Olamine that has soothing and anti-bacterial properties. 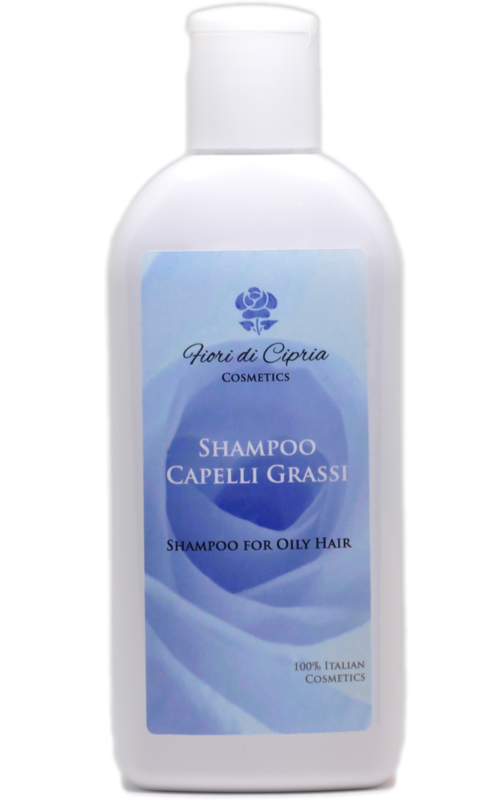 Fiori di Cipria shampoo for oily hair, suitable for frequent use, offers a deep and effective cleansing of hair and oily scalp and normalizes the production of sebum. Apply a small amount on wet hair two to four times a week, lather up at the scalp, massage for a few minutes, leave on for three minutes and rinse out thoroughly. Repeat if necessary. For the first treatment we recommend three to four washes per week for three consecutive weeks. The follow-up treatment requires only two or three washes per week. Regular use also helps prevent hair loss. Aqua, Sodium Laureth Sulfate, Ammonium Lauryl Sulfate, Cocamide DEA, Cocamidopropyl Betaine, Dimethiconol, Piroctone Olamine, PEG-3 Distearate, Sodium Cocoyl Hydrolyzed Wheat Protein, Vaccinium Myrtillus Fruit Extract, Rubus Fruticosus Fruit Extract, Hordeum Vulgare Seed Extract, Niacinamide, Argania Spinosa Kernel Oil, Aloe Barbadensis Leaf Juice, Parfum, Glycol Distearate, Cetearyl Alcohol, Panthenol, , Acrylates/Palmeth-25 Acrylate Copolymer, Amodimethicone, Guar Hydroxypropyltrimonium Chloride, Stearamidopropyl Dimethylamine, Trideceth-6, Propylene Glycol, TEA-Dodecylbenzenesulfonate, DMDM Hydantoin, Lactic Acid, Cocamide MEA, Laureth-10, Tocopheryl Acetate, Butylene Glycol, Iodopropynyl Butylcarbamate, Citric Acid, Caramel, Disodium EDTA. 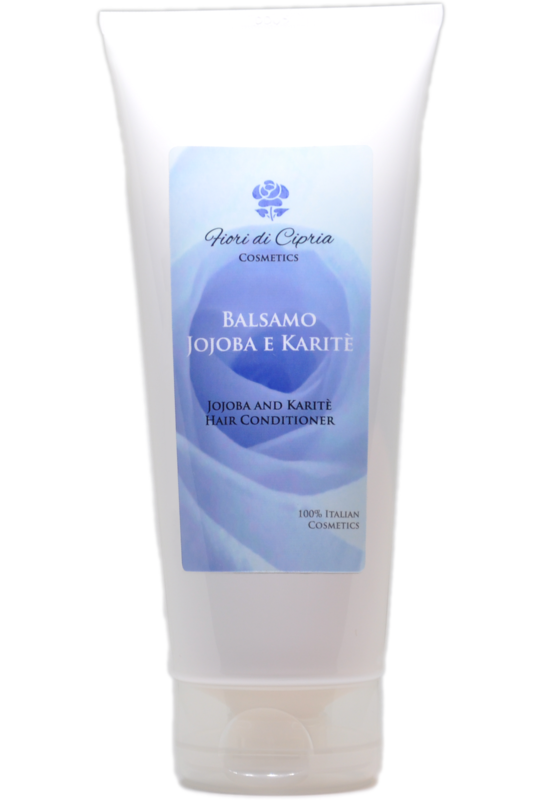 This Conditioner from Fiori di Cipria, made with Jojoba oil and Shea butter is ideal for hair that is very dry,frizzy or curly, brittle and difficult to treat. 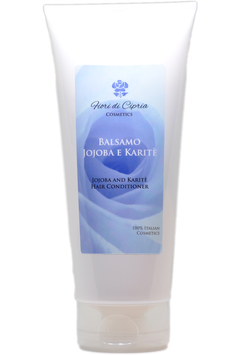 It restructures the hair and helps prevent split ends due to aggressive drying. It strengthens the hair and helps prevent the loss. After the application the hair is left feeling smooth, soft and shiny. Apply on washed wet hair and leave on for 2 -3 minutes. Rinse thoroughly. 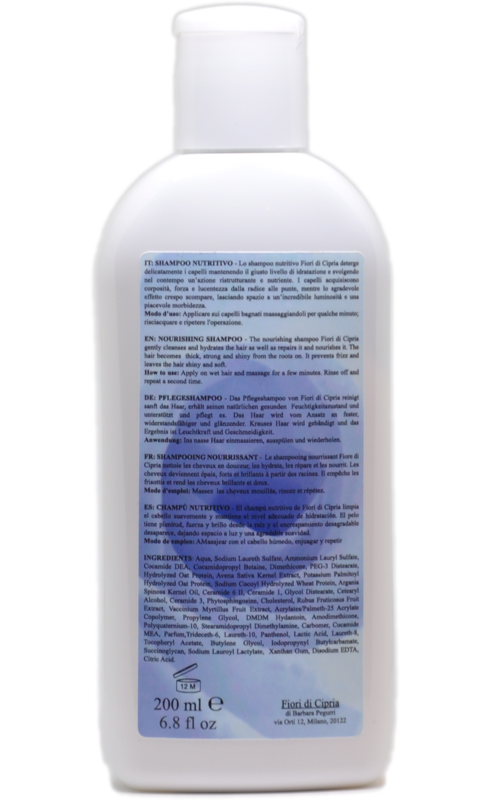 Aqua, Cetearyl Alcohol, Behentrimonium Chloride, Simmondsia Chinensis Seed Oil, Dimethicone, Dicaprylyl Ether, Butyospermum Parkii Butter, Hydrolyzed Wheat Protein, Hydroxyethylcellulose, Parfum, Cetrimonium Chloride, Guar Hydroxypropyltrimonium Chloride, Tocopherol, Ascorbyl Palmitate, Lecithin, Potassium Sorbate, Laureth-8, Sodium Benzoate, Tetrasodium Glutamate Diacetate, Succinoglycan, Citric Acid .